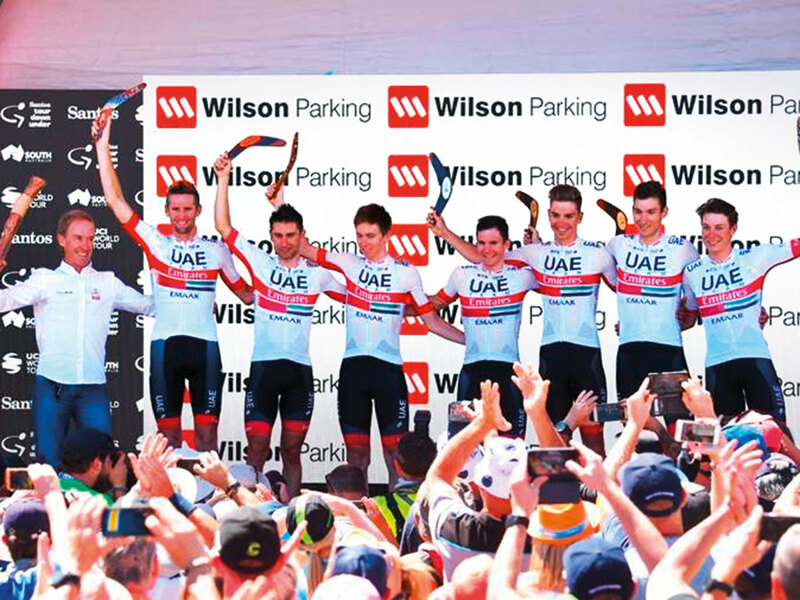 Dubai: UAE Team Emirates got their season off to a flying start by taking the overall team classification in the Tour Down Under, the first UCI World Tour Race of the year. The team rode consistently from the first stage until the last, wrapping up a hard-fought tour on the iconic climb of Willunga Hill. Three riders from the team made the top spots — exceeding the high expectations established beforehand. Diego Ulissi arrived at the top of Willunga Hill in eighth place just 17″seconds behind the day’s winner Riche Porte. New signing Tadej Pogacar came in 15th just 20 seconds behind first spot, followed closely by Jan Polanc in 17th just 30″seconds down. In the General Classification, Ulissi finished ninth, 40″seconds off the overall winner Daryl Impey (Mitchelton Scott). Pogacar was 13th and Polanc was 15th. These results built on the success of Saturday’s race which saw Jasper Philipsen win Stage 5 after a sprint finish. “It was a beautiful result for UAE Team Emirates. To get on the podium as the best team in the first World Tour race of the year is amazing,” said sports director Neil Stephens. “Today we achieved more goals than we were after. We wanted to take the team classification but to try to be in the best possible spots in the individual classification. We achieved that considering that we have three riders in the top 15 of the classification, with Ulissi in the top 10. The great work that characterises this group added up over the week. It’s an important factor that will show positively in the next wave of competitions“.